Pottery Shops of Seagrove can be found scattered throughout the countryside with close to 100 potters each unique with one of a kind pieces of art. Some families date back to the 1700s. Visit the local potters & listen to their family history. Don’t be shy about asking questions, as they love to talk about their pottery. They are friendly and always glad you stopped by. Several of the potters still dig the clay from their ground which makes any piece you should purchase even more special. There are functional pieces and decorative pieces for displaying or giving as wonderful gifts. 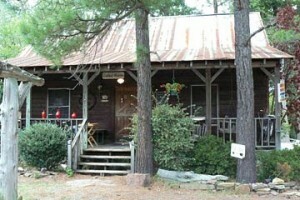 Don’t forget to visit the Black Smith located on Busbee Road. Plan to spend time talking and learning his craft. There are always a few guests who come to visit Seagrove and the pottery shops who will say “we are only here to look & not buy” Usually they return from their adventure laughing & with big smiles on their faces saying they couldn’t help it, they bought. Too many unusual & wonderful pieces to pass by. The name Seagrove came from a railroad official who was in charge of routing a railroad through the area. His name was Edwin G. Seagroves. The ‘s’ was dropped when there wasn’t enough space on the sign. The railroad station now is home to the North Carolina Pottery Center and on Main Street is the Museum of North Carolina Traditional Pottery. Both are a great place to start your experience.